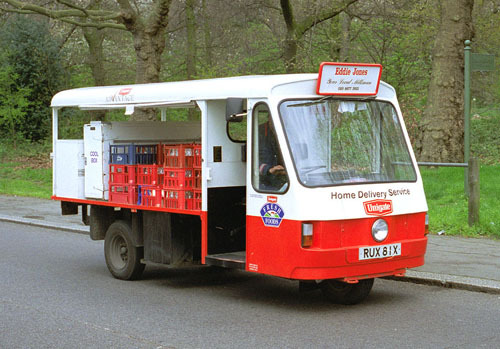 My mum always used to say that I was the result of the milkman (my dad was the milkman). That’s a shame as I loved this song as it has a gentle old fashioned humour to it and my Dad always says the same to my Mum! That milkman quip must be an English thing. Haha! Have a great trip and hope to hear from you from Turkey! You won’t soon forget this trip I’m guessing. Oh my, this is one for the memory books! I’ll never look at milk the same again. I hope you know your gold tops from your silver tops? I should…but I’m blonde, so don’t give me too much credit. Well you got a great blog post out of it. Thanks for the laugh today. Wishing you a safe and much smoother trip the rest of the way…. Bless you, Dallas! A fitting farewell. That sense of humour will stand you in good stead lass. Take care. I so hope you’re right Jo! Great story… just back from staying in a little village in Devon, and off to Bristol airport soon this made me chuckle! Love good old Benny! I had to re-read part of the post as I thought you had written that Ernie had quickly loaded your rear into the van. And I’m wondering what you will answer on the forms when asked if you packed your own bags. Who knows what your mum could have tucked in there. Ernie would have needed a hoist to load my rear in the back of the van! Hadn’t thought about that but I think she may be trustworthy! So glad to hear that you are heading back out to Turkey. That’s great news! Loved hearing about Ernie – and being reminded of Benny Hill’s song – loved it! What can I say; I’m a classy bird! I did get a few strange looks at Bristol and I’ll be in touch! Great story with yet another interesting character from your life… Loved the video too. I do love a bit of harmless fun and this song always makes me laugh! Oh for the days when our milk was delivered to the door. Now it’s just you, being delivered to airports covered in pigeon 😀 Have a wonderful and fantastic trip. Looking forward to hearing all about it. I’ll be back in a few weeks but I’m hoping I don’t have to go that long without some sort of internet access and they do say “muck for luck”! Okay, same me those girls really irritates me *smile .. I quite like the song. Reading your narrative, I was sure that the pigeons would turn out to be harnessed to the three wheel van, and part of the propulsion of the vehicle. As always, you had us hanging off the edge of our seats, and Benny Hill almost did us in completely. Thank you for another round of fireworks on the way to the airport. What a hilarious way to depart for Turkey! Is that picture of the car remotely resemble the delivery truck you traveled in? And the fact you shared transportation with some animals… I feel like you did this at least once in Turkey? Or maybe not. I was able to play the video on McTube–copied the title into the search section and it came up. Cute! ah great start to the trip and a new adventure. And you know the pigeons always find their way home…. 😉 good luck TinkyTown! What a wonderful start to the trip….pigeons and Benny Hill. Ear worm! Ouch. Guess you’re there now – hope the journey went well. I’ve just been reading a few of your posts and having a great laugh – you write so well! Thanks for checking my post on our holiday in Turkey. I’m looking forward to reading more of your stories, have fun. Awesomeness! I am looking forward to reading about your ongoing Turkish expeditions, Dallas! So exciting! Oh, I remember Benny Hill and I CERTAINLY remember Ernie the Milkman. I’ve nominated you for the Versatile Blogger Award- drop by and check it out. Great, easy-to-read writing. And I love Benny Hill too. Hello! I love this one and I think the lyrics are really clever too – you can’t beat a bit of old fashioned wholesome humour!